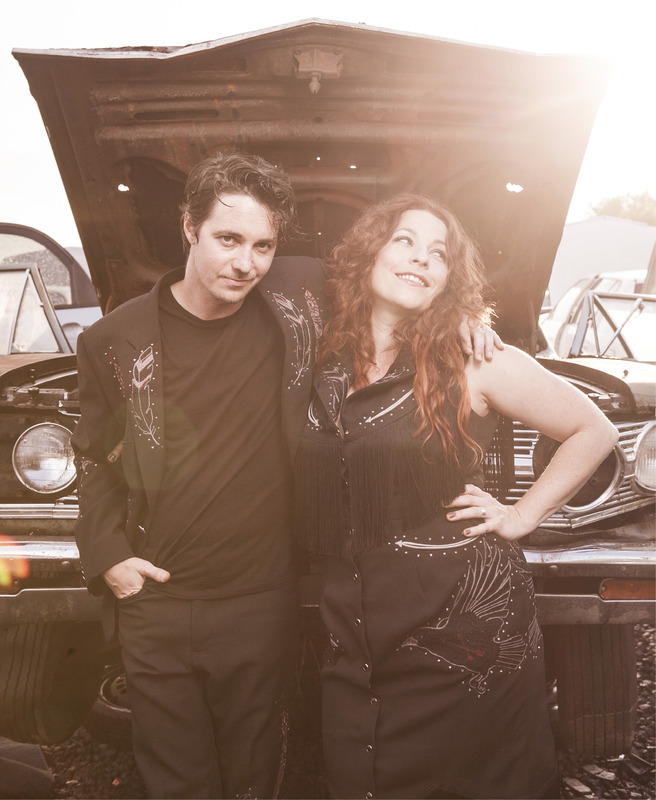 Tune Up: Don’t be fooled by the junkyard backdrop; the musical horsepower of Cary Ann Hearst and Michael Trent is at full-throttle with their recent release, Little Seeds. 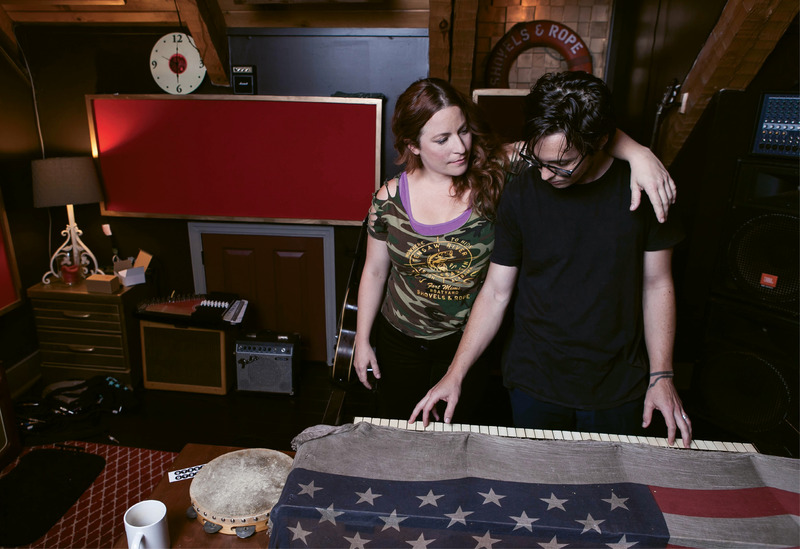 Rope’s Anchor: Despite extensive touring, Hearst and Trent put down their roots, and their song tracks, at their John’s Island home studio. 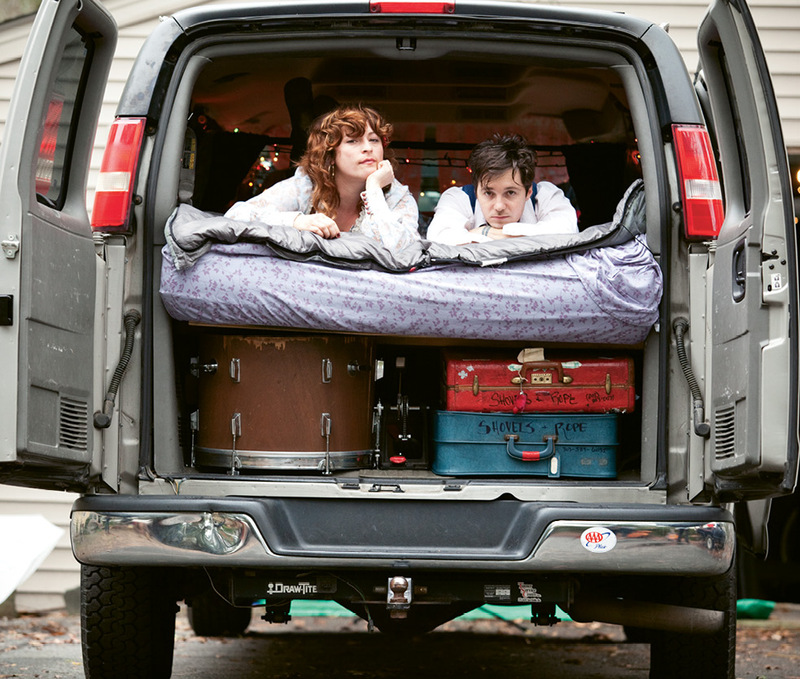 All In: As young troubadours on the road with their breakout album, O’ Be Joyful, the couple lived, toured, and made do in their humble minivan. Nickel Toss: The tune “Buffalo Nickel” on Little Seeds marries frantic lyrics with the more drawn-out refrain, “You and I (working around each other),” which pretty much sums up the creative partnership of a couple parenting a toddler, writing, recording, performing, and figuring out the music business, all at the same time. 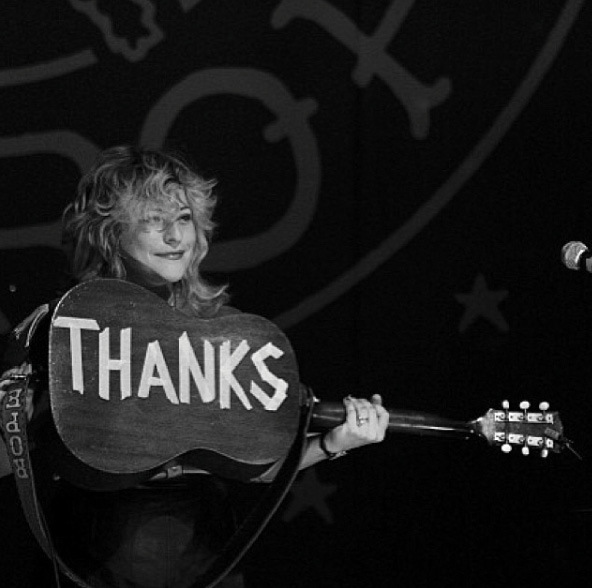 Australian tour with Shakey Graves in 2015. 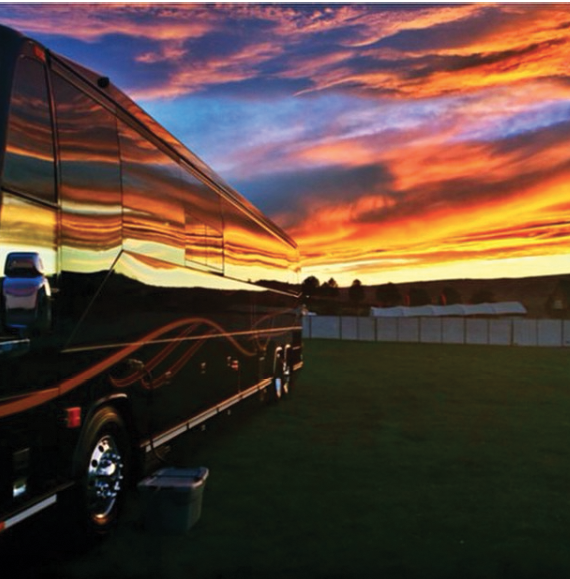 “Sunset on the bus at The Gorge,” Washington State, 2014. 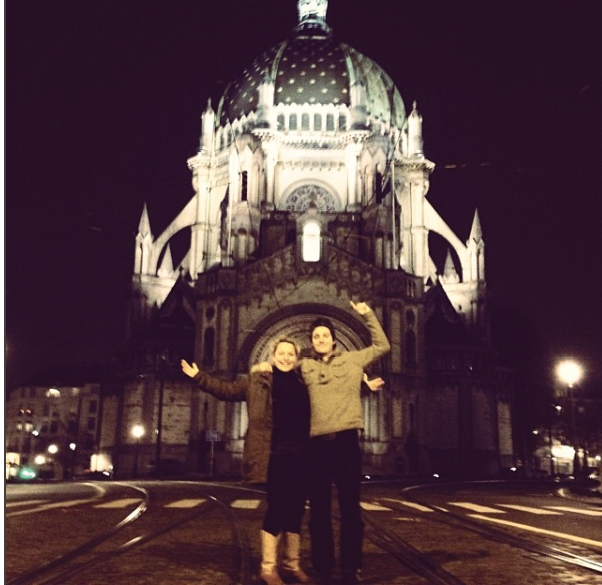 On tour in Brussels, November 2013. Simple gratitude at Charleston Music Hall, January 2014. 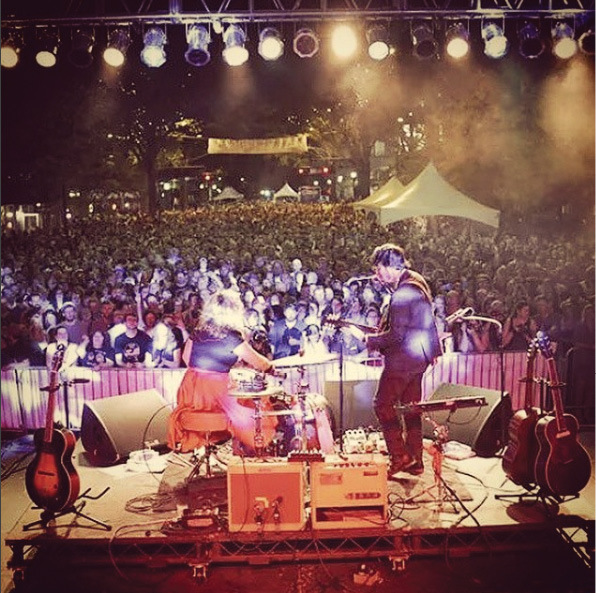 Onstage at Fall For Greenville, October 2014. 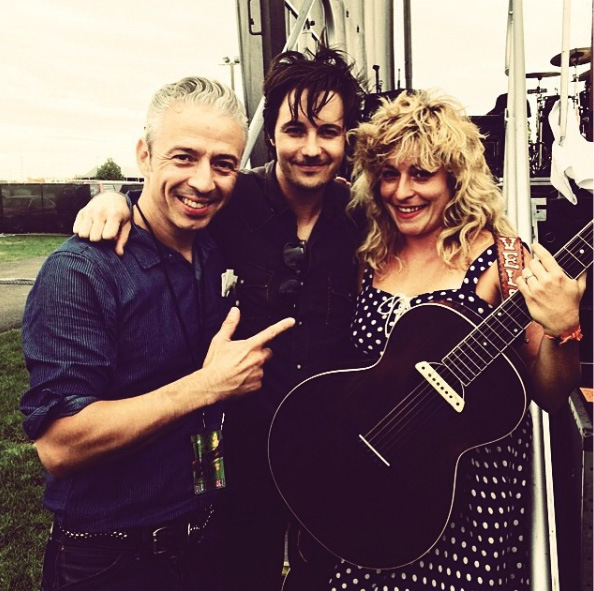 With JD McPherson’s bassist, Jimmy Sutton, at the Gorge, 2014. 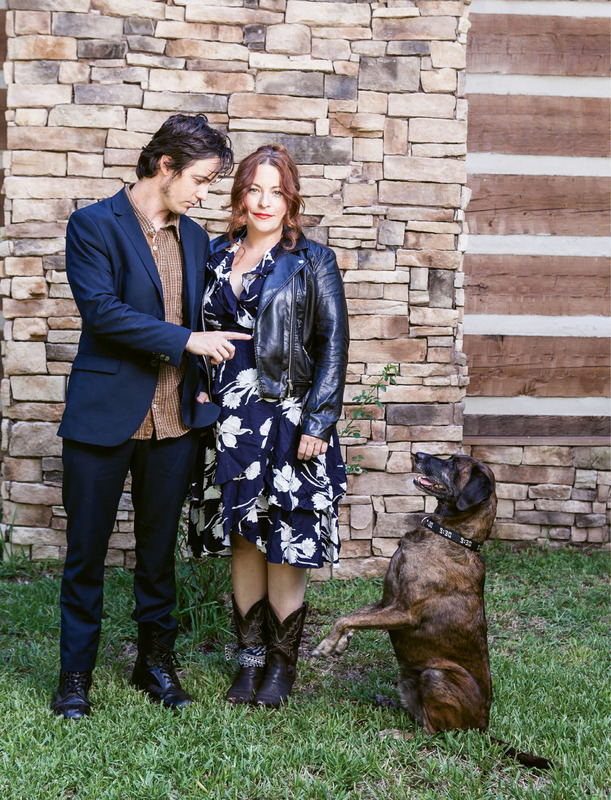 Sittin’ Time: Townes, the unofficial third, and faithful, member of Shovels & Rope, hits the road with the band, and steals the show when he can, like when he was the subject of a New Yorker “Talk of the Town” column (“A Dog’s Life”) in September 2013. Morning Song: “She walked into the kitchen/where most mornings would begin…” starts the tune “Mourning Song”—one of the more somber tunes on Little Seeds, reflecting Hearst and Trent’s year marked by emotional highs and lows—welcoming a baby, caring for a loved one with Alzheimer’s, and losing a dear friend. 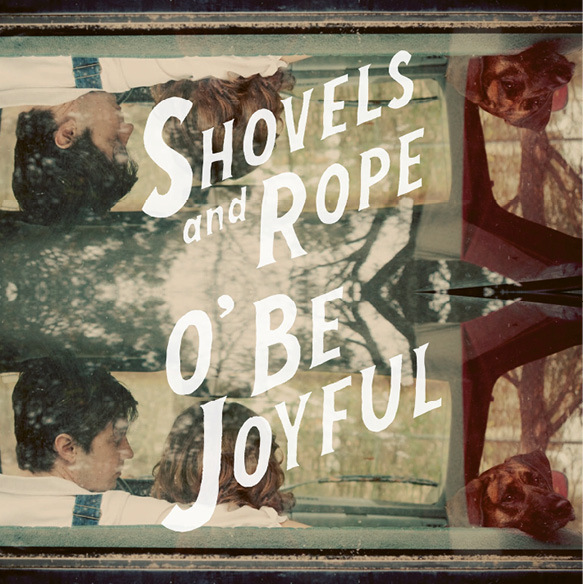 Documentary/DVD: The Ballad of Shovels and Rope, filmed and produced by The Moving Picture Boys, premiered at the 2014 Cleveland International Film Festival and won the Ground Zero Tennessee Spirit Award for best feature at the Nashville Film Festival in 2014 and Best Feature Documentary at the Port Townsend Film Festival, also in 2014. Take a kick drum rescued from a curb. 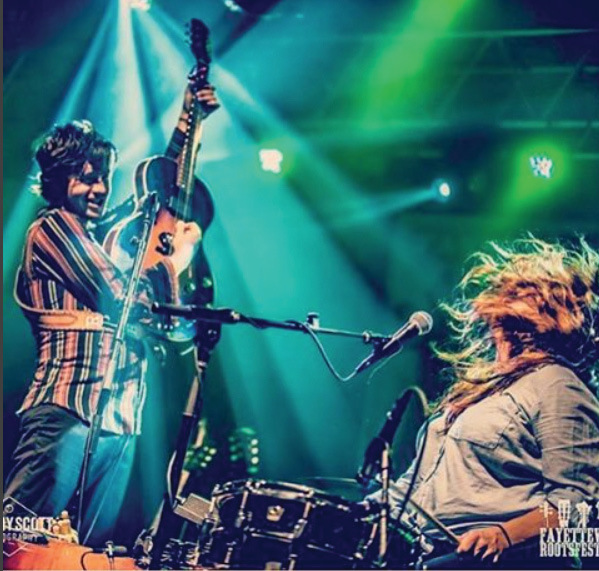 Add a loud-n-sassy Mississippi chick with a dose of Nashville twang and a more subdued hard-rocker from the Colorado high country. Plus their new cutie—teething and toddling and grooving to the Sesame Street theme song. And, of course, their old hound, Townes Van Zandt, bless his heart. 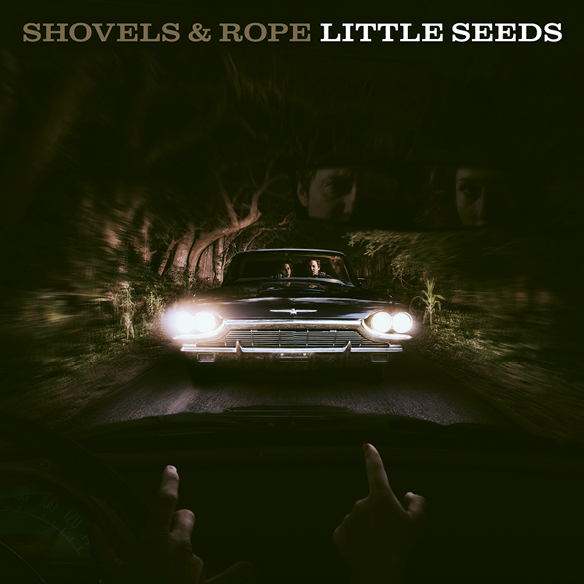 And don’t forget their big hearts—big from the get-go, and now, after a humdinger of a year, bigger than ever, bigger even than their way-big sound on Little Seeds, their brand-new humdinger of an album. 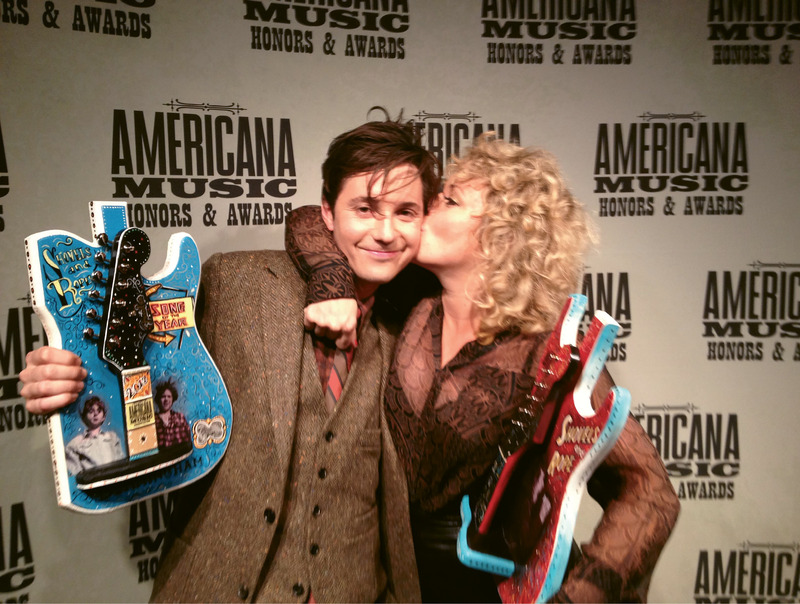 That’s an abbreviated equation to sum up the status of Cary Ann Hearst and Michael Trent, the married duo otherwise known as Shovels & Rope, Americana-slash-roots music darlings, if you’re the type of person who needs a genre pegged (they wish you weren’t). Oh, except for the fact that the kick drum, dubbed “Stuart the Deflated Tire Drum,” had to be replaced, which is no surprise given the mega-watt kicking it endured. 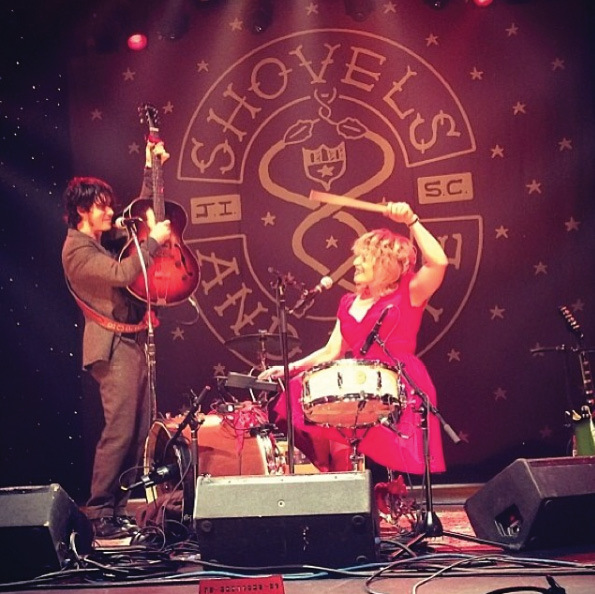 From kicking to stomping to clapping to tambourine-shaking to some serious guitar-playing, not to mention full-throttle vocals, especially from the unfettered Hearst, there’s no holding back when it comes to making music for Shovels & Rope. 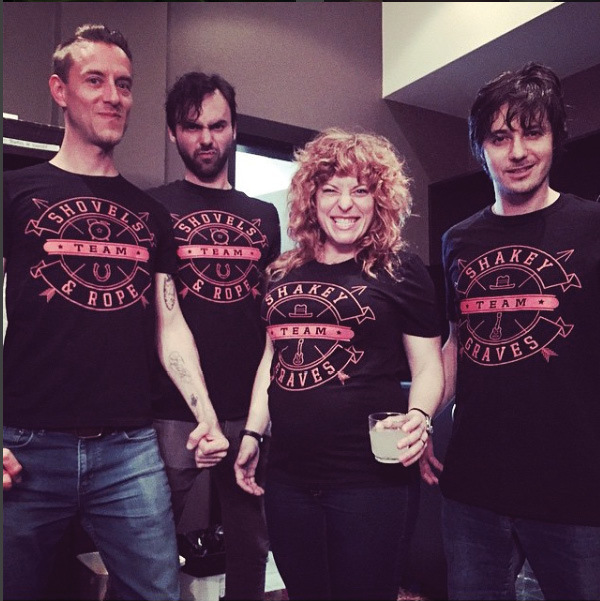 ’Tis fitting that their band name conjures back-to-basics, hardworking, have-at-it tools. These two aren’t tinkering around. Their sound is muscular and scrappy. They’re serious about “making something out of nothing,” as their Tumblr tag line suggests. And “something” they are these days, after their 2012 release, O’ Be Joyful, earned numerous awards and their follow-up, Swimmin’ Time, splashed up gobs of acclaim. Truthfully, though, despite their steadily rising stardom, including headlining the 2014 Spoleto Festival USA Finale and an encore appearance on Letterman’s Late Show before he took his final bow, not to mention Austin City Limits, Coachella, the Grand Ole Opry, and numerous other high-profile gigs, Hearst and Trent are perhaps better known around these parts as stalwarts of the local music community, and that’s just fine with them. 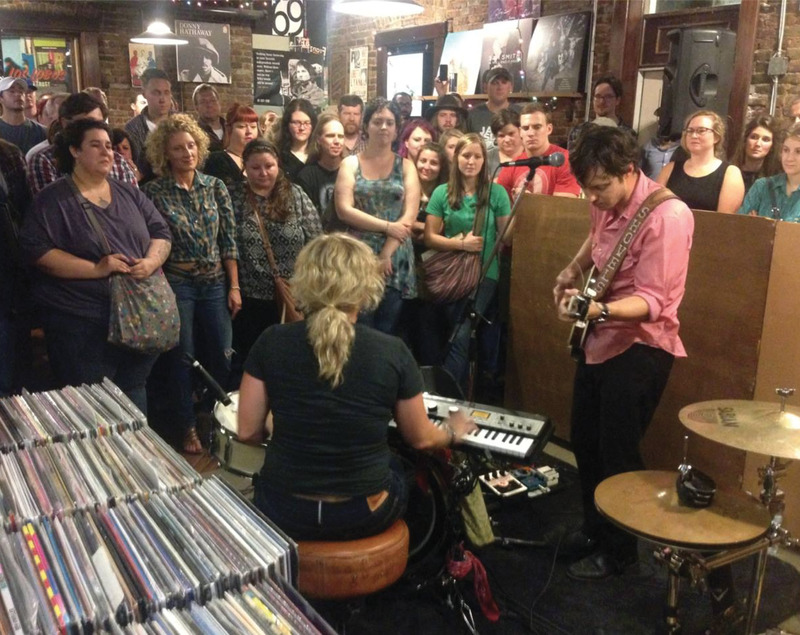 Sure they’ve played the Ryman and reached the top of the roots music charts, but they haven’t forgotten their real roots as veterans of Moe’s Crosstown, the Pour House, Cumberlands, Theater 99, and just about any place an upstart musician could get a gig a couple of years back. She also got a loyal, if small, following. After graduating, Hearst stayed in town, waited tables at Jestine’s, and honed her balladiering prowess and musical range, which stretched from pirate tunes to playing classic Neil Young, Emmylou Harris, and Hank Williams covers along with some originals with her band, The Borrowed Angels. On Monday nights at Moe’s, you might have heard her belt out “Charleston Blues” or “You Ain’t Going Nowhere”—a false prophesy if ever there was one. 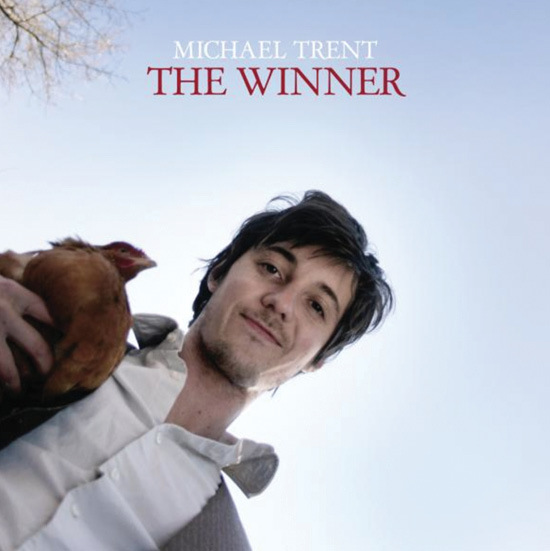 About the same time, Trent landed in the Lowcountry via his indie-rock band, The Films, which had been based in Denver and then Brooklyn but was traveling the country as the opening act for Jump Little Children (JLC), the Charleston-tied baroque-alt breakout that jumped rather high for about a decade. “Charleston felt more like a community where everyone wanted to help each other out, and there was really great music everywhere we looked. So we decided to make this our home,” says Trent. In 2002, The Borrowed Angels and The Films both opened for a JLC show, and not long after, Trent moved here for good, and he and Hearst eventually started dating. “It was inevitable,” says Carson, of their romance and musical compatibility. “Their talent was just so obvious, and so complementary. They’re an ideal balance.” Hearst being the more boisterous open book and country crooner who was itching to gain a “more aggressive voice, more fire in the belly than my Hank Williams and Patsy Cline repertoire,” she says; Trent being the more reticent, introspective punk and grunge rocker who broadened her horizons. “My partnership with Michael allowed me to explore. I’d go digging in his Euro catalogue and discover bands like The Kinks. Good lord, how did I miss The Kinks?” she laughs. But even after the duo got hitched in 2009 during a nostalgia-steeped ceremony complete with a torrential thunderstorm on rural Wadmalaw Island, they each continued along on their individual solo career tracks. One day they just realized that, heck, they could streamline and make a go of it as a twofer. 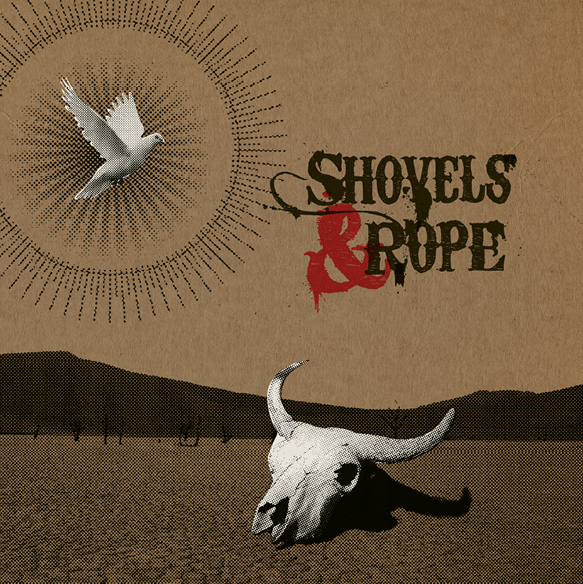 They’d been co-writing some songs, many of which, including “Boxcar,” premiered on the 2008 release, Shovels & Rope, and there you have it, a band name and all. Suffice it to say, it was a smart move. While the accompanying fame has certainly made life busier for the couple, it hasn’t otherwise changed their tune. They love nothing more than “working our craft,” as Trent says, i.e. writing songs heavy on narrative—think Cormac McCarthy meets Elvis Costello—and experimenting with rhythms, from frenzied honky-tonk to full-bore rock to lonesome lyrical blues. 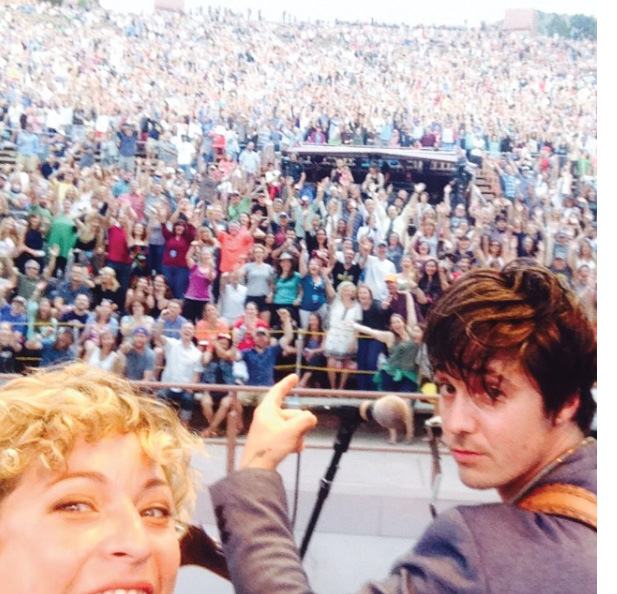 They love being onstage, delivering shows sparked by raw energy and magnetic harmonies that result in some sort of spontaneous combustion. And they love nothing more than doing every little bit of it together—the writing, the rehearsing, the recording, the traveling, the performing—even when it means driving each other crazy. (“Cary Ann has noticed Michael has no tolerance for tardiness or laziness. 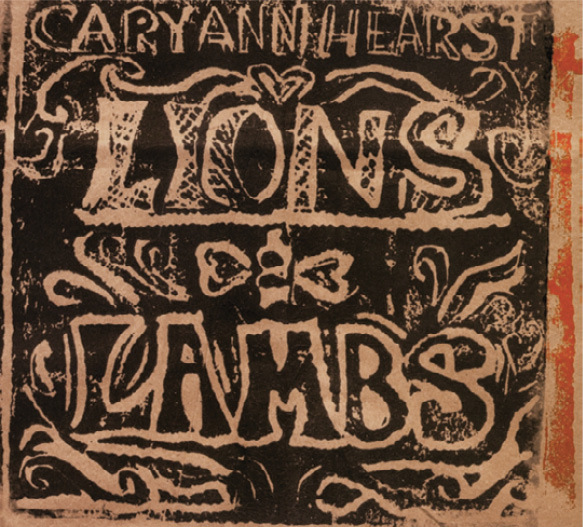 Cary Ann is often tardy and lazy,” Hearst confessed on their wedding website). 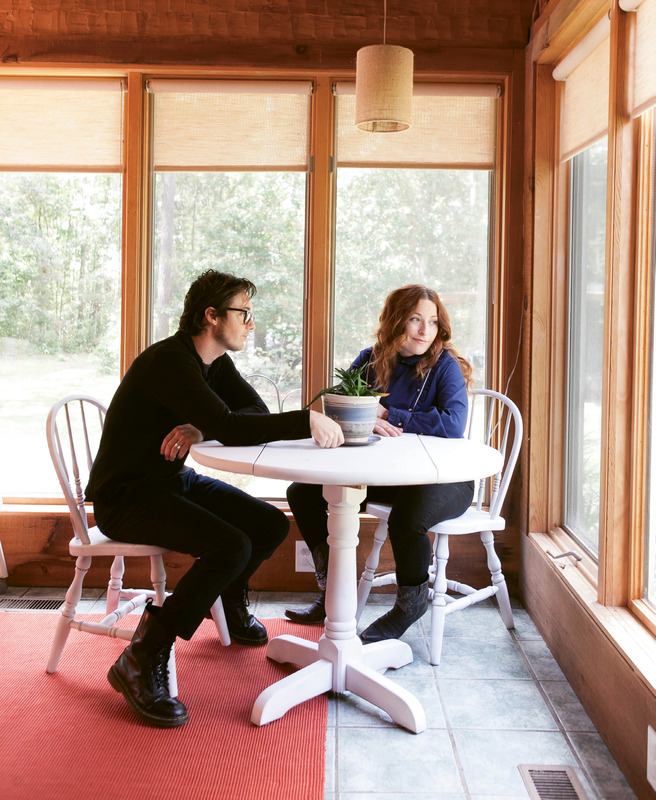 But never fear, parenthood has no more turned their new album, Little Seeds, into treacly lullaby land than it has made Hearst meek and demure. 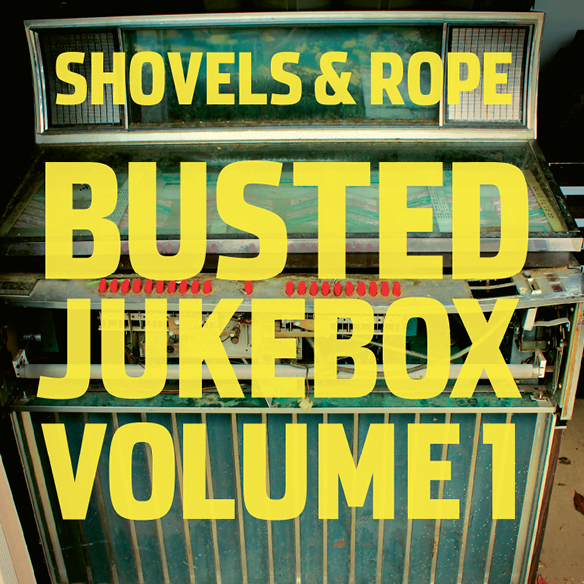 On the contrary, these songs may well be some of the duo’s strongest and loudest yet, complete with screeching feedback and hammering rhythms, and in a departure from their more fictional storytelling style on earlier albums, lyrics that are often deeply personal. “We try to be students of the craft and write all kinds of different songs in different voices, and these songs were just coming out in a personal way,” says Trent. “I feel like the most honest thing you can do is what people will relate to the most, no matter if it seems a little bit off or it’s not necessarily pretty. But we’d be lying if we said there wasn’t a lot of real emotion going on in our house while we were recording this,” he continues, noting that his parents lived with them for a few years. 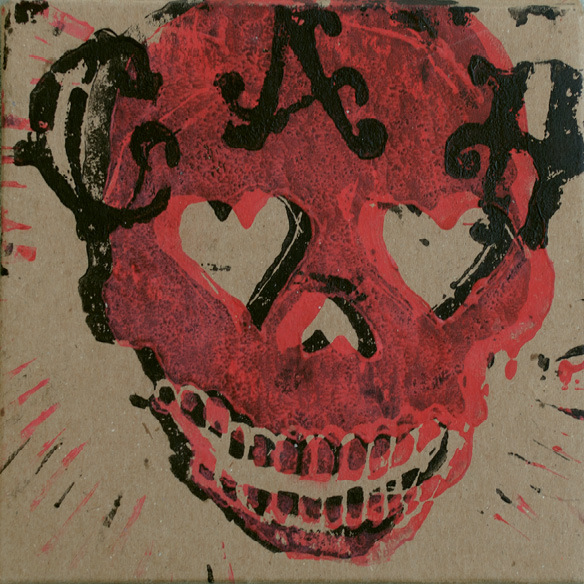 Yet perhaps the most moving song on the album, and one that distills the roller-coaster emotions of a year marked by the exuberance of childbirth and the heartache of loss, is the final track, “This Ride,” which was written before their dear friend and fellow musician Eric Brantley was killed, but is all the more haunting and poignant in light of his death. Brantley was a stalwart of Charleston’s tight musical community who set up his motorcycle shop in Hearst and Trent’s garage and watched after their house when they were on the road, before he was murdered last spring outside of The Sparrow, where he tended bar. The song, accompanied only by handclapped beat (in Gullah spiritual style) is bookended by two women’s voices on cell-phone recordings: Brantley’s mother recounting how her son was born in the back of a police car on Rutledge Avenue, and Hearst’s 83-year-old grandmother summing up a hard but beautiful life. 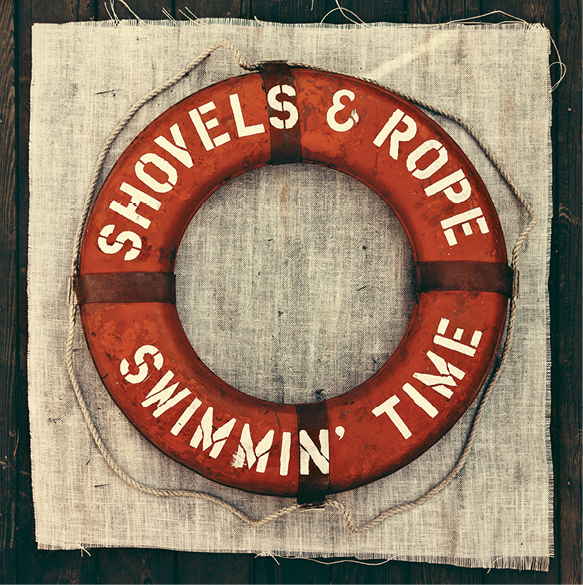 And in between, there’s “This Ride,” a wild ride, so you damn well better buckle up—especially if you’re barreling down a busy highway listening to a Shovels & Rope playlist. 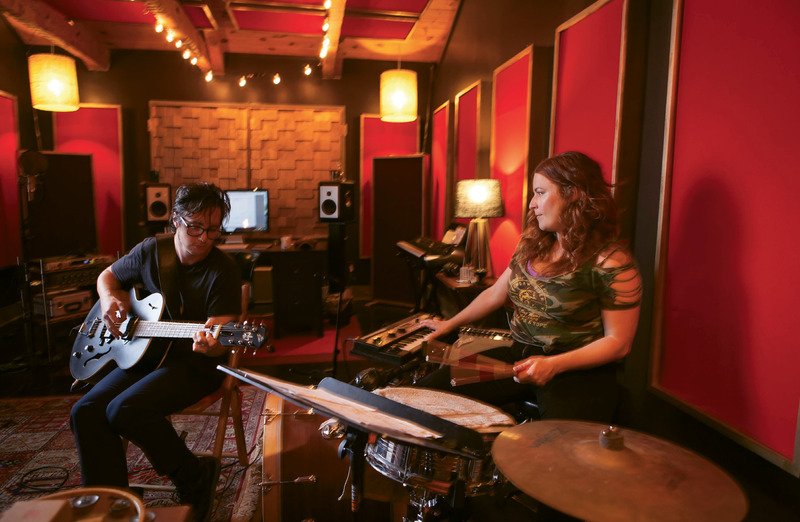 In the spirit of the BBC podcast series, we asked what eight discs Cary Ann Hearst and Michael Trent would take with them, and what instruments, if, by chance, they were stuck out on Capers for ever and a day. Nick Cave - The Boatman’s Call—“It serves a lot of different emotional purposes"
And which instrument? “I guess it’d be the guitar, because of all the instruments we play, we both play that the least shittily. Plus you don’t need any power, which we wouldn’t have out there,” says Trent. “And I might sneak on my accordian that I really adore,” Hearst adds. “Then I’d drown myself,” Trent says.